Because Unplasticised Poly Vinyl Chloride or UPVC doors have become so popular for their low maintenance, many properties have them. The lock is a strip running along the edge of the door which has been morticed in the door. When the handle is lifted up all the locking points on the edge of the door will then engage in the keeps. It is a misconception that a broken UPVC window lock requires a window replacement. View our video about changing a UPVC window lock and our range of handles. Locks are moving mechanisms; they have moving parts. Over time these parts wear out and become difficult or even cease functioning. 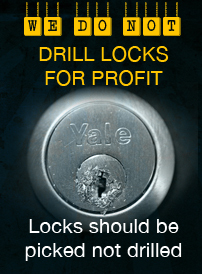 You need an honest locksmith that is skilled in lock repair. Kingdom Keys’ locksmiths happen to have that very skill and training. There are many reasons such as moving house, home or property to change the locks on your property. Whether it is a case of losing all the relevant keys to a particular lock or a change of locks for security reasons to meet the requirements of an insurance policy, you can trust Kingdom Keys to do the job. 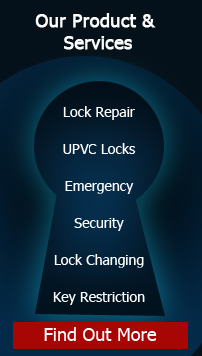 There are many reasons you might need to upgrade your locks. Among the most important is insurance compliance, but also for comfort knowing that you and your home or business is safe and sound, with good reliable secure locks. Emergencies arise when we least expect them, that is why they are called emergencies. Kingdom Keys provides 24/7 locksmith services. Whether the door shuts locking you out or the mechanism breaks keeping you in, we are prepared for your emergency so you do not have to be! This is a must for multi-family, commercial property and landlords. Placing a high level of security on the copying of keys is crucial for these situations. The R S Sigma that Kingdom Keys uses has unlimited patent protection against unauthorised key copying as well as many other advanced security features. Opportunistic thieves look for the path of least resistance, and that path might be through your front door, if your home is equipped with unsecure locks. Kingdom Keys will perform a thorough security audit of you property and advise you of what is needed to keep your kingdom secure. Kingdom Keys operates 24 hour emergency and non emergency locksmith service. Call Kingdom Keys, your locksmith of choice for homes and businesses across East Sussex.